ePuffer is at it again! We’ve listened to our customers and have created the Titan X Hybrid Vaporizer. This sleek, stainless steel mod, that is small enough to fit in a palm of your hand, now has a battery capacity of 1500 mAh. Additionally, the Titan X model still supports two coils types: 1.0Ω for the ecigarette ( MTL - Mouth to Lungs ) and 0.4Ω for the box mod ( DTL - Direct to Lungs ) styles of vaping. 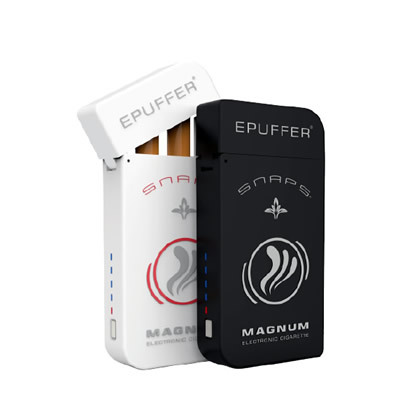 This new vaporizer is a hybrid between an e-cigarette and a box mod, that provides the ease and convenience of a pocket-sized device with the power and vapor production of a larger battery. The Titan X is designed to fit the size of your palm, but stands up to other box mods in terms of strength and power in a way cig-a-likes cannot. 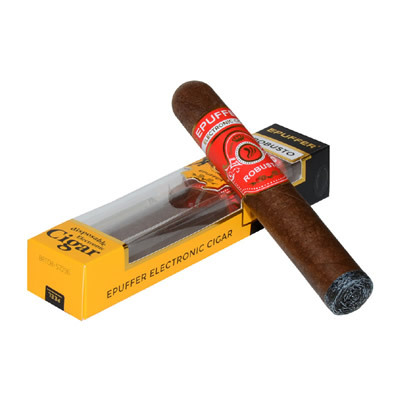 We recommend this model specifically for vapers, who are transitioning from the analog cigarettes, but want something more powerful than an e-cig. If you’re a beginner, you may want to start with e-cigs to get a better feel for the devices, but if you are no longer a novice, this might give you a step up. The Titan X Hybrid Vaporizer has a simple, streamlined design and doesn’t require the expertise needed for some of the larger box mods, even though some of its features are similar. What’s new about this edition of the Titan X? In this recently renovated Titan X, we’ve increased the battery capacity from 1100 mAh to 1500 mAh, so you can go even longer without recharging. Added a Splash Guard screen protection. Lowered resistance to 0.4ohm on Direct to Lungs (DTL) coil. This update produce more vapor and delivers excellent flavor. Refil your tank with ease using any dropper. TITAN X is a ‘hybrid’ device, a cross between a box mod vaporizer and an electronic cigarette, because it uses two different atomizer coils, 0.4 ohm and 1.0 ohm. When vaping with 0.4 ohm coil, TITAN-X works as a SUB-OHM Box Mod Vaporizer, but when 1.0 ohm coil is used, it works as an electronic cigarette. The difference between these two is that when you use the 1.0 ohm, the vapor passes through the mouth and then to the lungs ( MTL ). On the other hand, when the 0.4 ohm coil is used, it shoots the vapor directly to lungs ( DTL ), providing a different ( shisha / hookah-like) vaping experience. 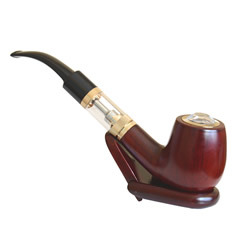 Why should an avid fan of electronic smoking (just like you) purchase this unit? TITAN X is an exceptional device, that you should definitely get your hands on, because it has features that will definitely serve your vaping needs right. It is a top loading device, featuring an automatic power control, so you wouldn’t have to worry about the complex stuff like wattage/voltage settings. As outlined above, TITAN X gives you two distinct vaping modes: 1.0 ohm coil delivers vapor from your mouth to your lungs, while a 0.4 ohm coil delivers it directly to your lungs. 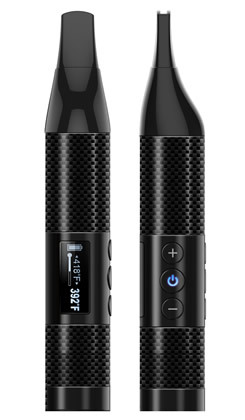 This device also has a 3mL tank capacity, and works on a temperature range of 350-500 F.
While being powerful, TITAN X is still very portable and is small enough for you to take it anywhere! Important Tip! For best vaping experience, we recommend priming the atomizer by dripping 3-4 drops of e-liquid directly onto an atomizer's coil. Once Liquamizer Tank is assembled and pre-filled, allow 6-7 minutes for the e-liquid to feed into the coil before you start vaping. Well designed unit. I really like visual appearance and portability. The performance is the same as big box mods, at much cheaper cost. This one is a keeper. It is a much smaller unit than I thought. I like how it is almost hidden in my palm. But as they say, don't let the size full you. Vapor production is excellent, and great flavor delivery. Sorry to say, but bye bye HD3, I have a new toy now. I really enjoy this model. Don't let the size full you, very compact and yet powerful device. Fully charged battery lasted for two days of frequent vaping. Fast delivery, arrived in 48 hours. P.S. I'm using 1.0 OHM Coil for now, want to see how long it will last. Will keep you posted. Great product. Good vapor production and the hybrid functionality is missing from most other vapes on the market. This is my favorite device of the many I have ever owned. Never leaks. Ease of use. Easy fill. Longer lasting battery. My last coil actually lasted a month! Size is perfect for my purse. Highly recommend. A big improvement over the previous model! I'll start by saying that the battery life is not only much better, but the button is much more durable than the original Titan model (which I've personally had a few fall apart). It also has a charge indicator built into the button LED which lets you know when it's time to plug it in. The tank assembly has also been improved in a few ways, including a splash screen which works very well, improved seals to ensure there are no leaks, and the top-fill design has been changed to make it much easier to fill with a dropper than the small holes that were present in the previous model. The finish is also much smoother and less likely to show fingerprints/scratches that are likely to occur with regular use. My only suggestion is that you prime your coils with a small amount of e-liquid prior to using a new coil for the first time. The inlet holes from the tank to the coil are smaller than the previous version and nobody likes a dry hit. Love this model. Battery charge holds whole day, no leaking. Using MTL 1.0 ohm coil. Solid structure, excellent design. Well deserved 5 Stars! For the size this thing hits very smooth. Pocket-friendly and mine hasn't leaked once since I've had it. Thanks!